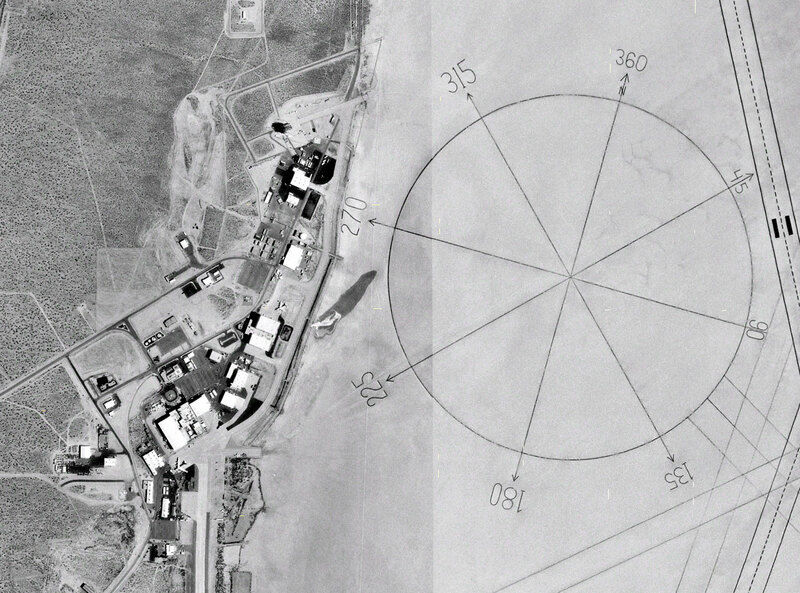 Located approximately 22 miles (35 km) northeast of Lancaster, California next to next to Rogers Dry Lake, which acts as a natural extension to the runways, and which has the largest compass rose in the world. Location of Chuck Yeager’s flight that broke the sound barrier in the Bell X-1, the flights of America’s first jet (the Bell XP-59A Airacomet), and the first landings of the Space Shuttle. A water stop on the Southern Pacific Railroad since 1876, the site was largely unsettled until the early 20th century. In 1910, Ralph, Clifford and Effie Corum built a homestead on the edge of Rogers Lake. They named it “Muroc,” a reversal of the name “Corum” (because there was already a town named Corum). Lieutenant Colonel Henry H. “Hap” Arnold began the process of acquiring land next to the Rogers dry lake for a new bombing range away from population areas in August 1932, initially referred to as “Mohave Field,” became Muroc Field. When Arnold became Chief of the Air Corps in 1938, the service was given a renewed focus on Research and Development. In the spring of 1942, however, the immense volume of flight test already being conducted at Wright Field, in Ohio, was one of the factors driving a search for a new site where a “Top Secret” airplane could undergo tests. In October 1944, a small detachment arrived at the base for experimental work in rocket firing and achieved much success. As an Air Foce Base, Muroc Army Air Field was named in honor of Captain Glen Walter Edwards (1918-1948) who flew 50 missions in North Africa during World War II. He became a test pilot in 1943 and spent much of his time at Muroc Army Air Field, testing experimental prototype aircraft. 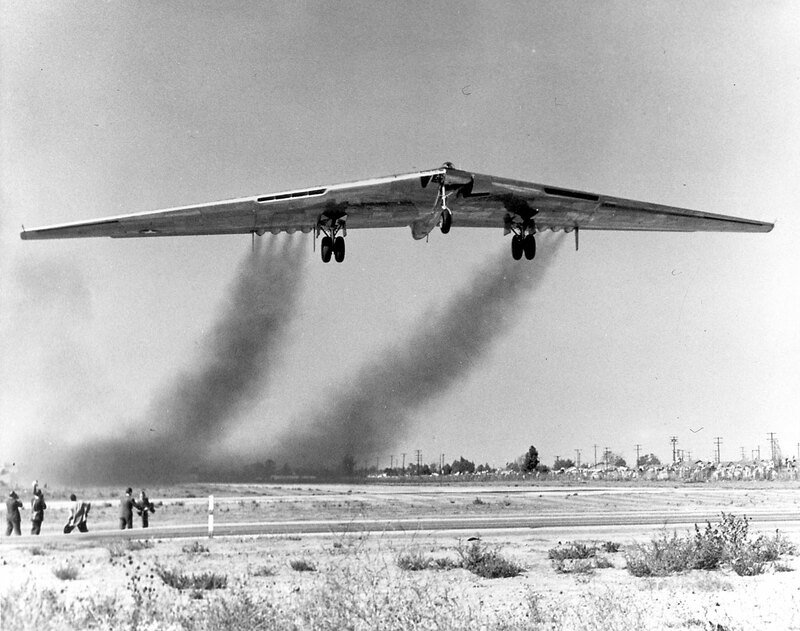 He died in the crash of a Northrop YB-49 Flying Wing near Muroc on 5 June 1948. The crash killed the pilot, Major Daniel Forbes (for whom Forbes Air Force Base was named), Captain Edwards, co-pilot (after whom Edwards Air Force Base is named), and three other crew members, one of whom, Lt. Edward Lee Swindell was a crew member on the Boeing B-29 that assisted Chuck Yeager in breaking the sound barrier in the Bell X-1 aircraft. This facility traces its roots to early Army Air Corps activities. For more than half a century, the facility and its personnel, teamed together with government and industrial partners, have provided the United States with rocket propulsion that fits the needs of the nation and anticipates the future of propulsion technology. The Edwards Research Site, sometimes called ‘The Rock’, or simply ‘The Lab’ by those who work there, is part of the AFRL Propulsion Directorate, which is headquartered at the Wright Research Site, Wright-Patterson Air Force Base, Ohio.